When you need a plumber urgently just call your local team at Plumber Drumcondra. We are always on call and ready to help you. Our 24/7-365 service means we can cover all types of plumbing emergencies. You can call us any time, day or night and a senior team member will take your call. We can offer advice via the phone and if you need we will have a staff member at your property within the hour. Our Drumcondra plumbers also cater for all everyday domestic or commercial plumbing works that you may need. This could be anything unblocking a drain, fixing a burst pipe to a complete bathroom refurbishment. 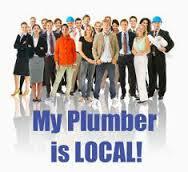 For your local plumbers no job is too large and none too small. We always aim is to offer our clients a complete plumbing service. We ensure that everything we do is of the highest quality. We only use the best parts, materials and equipment. On completion of all work we will leave your property as we found it. All of our team are fully qualified plumbers. They are all R.G.I. registered and covered by full professional and public indemnity insurance. We always take pride in our work so we stand by it, our “plumber Drumcondra” one year labor and parts guarantee means in the unlikely situation of a faulty part for example we will come out immediately and change it completely free of charge. We believe we offer the best value for money plumbing services in Dublin and probably in the Republic of Ireland. Our clients expect our plumbers to be punctual, polite and to do an ultra professional job. We make sure that our team does not let them down. Your local team at Plumber Drumcondra provide all of the services listed below and more. • We repair, replace and modify all pipework as well as fixing leaks. • We install and repair taps, sinks, baths, showers, wet rooms and bidets..
• A complete range of drain services using jet flushing, drain rods and plumbers snakes. We complete drain inspections using a C.C.T.V. system. • Plumbing in home appliances such as washing machines and dishwashers. • A full boiler repair and boiler installation service. • Expert boiler servicing completed by an R.G.I. registered engineer. • Heating system installation and repair. • 24 Hour emergency plumber Drumcondra call out service. • All types of gas appliance installed. Our team at Drumcondra plumbers take pride on operating their business as transparently as possible. We always make sure that our clients fully aware of the rates at the time they inquire or book a job. We never charge for sneaky extras unlike some firms. We do not charge for call-outs, traveling, “getting parts” or have any other hidden charges. This approach has been the foundations upon which our excellent reputation has been built over the decades that we have been trading. If you need a plumber in Drumcondra, call us today on 01-2844921.